Dhaka, 26 Jan, Abnews: This is what Dawn may have looked like when she was alive, 9,000 years ago. 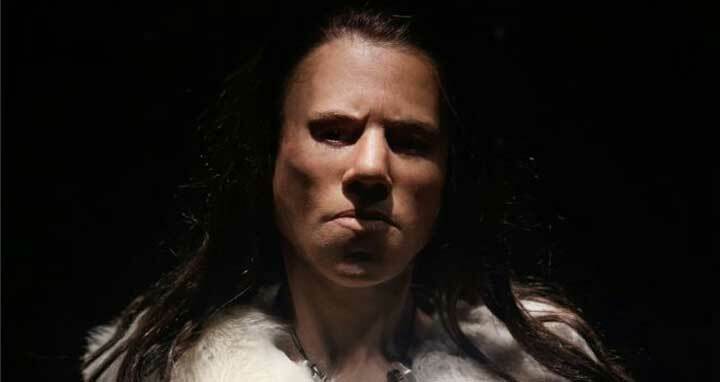 The face of a girl, thought to be aged between 15 and 18, has been recreated by scientists based on remains found in a cave in Greece in 1993. The silicone model was created using CT scans and 3D printing technology. She was named Avgi, Greek for Dawn, because she lived in the Mesolithic period in about 7,000 BC, considered by some to be the dawn of civilisation. Her bones indicated she was 15 when she died, but the teeth suggested she was 18. Other features like skin and eye colour were inferred based on general population traits in the area. As for her apparently angry look, orthodontics professor Manolis Papagrikorakis told Reuters news agency: "It's not possible for her not to be angry during such an era." Her remains were found in Theopetra Cave, in the central Greek region of Thessaly, where objects from Paleolithic, Mesolithic and Neolithic periods have also been discovered. The reconstruction work involved an international team and a Swedish laboratory specialising in human reconstructions.